“Cuts in benefits are an unjust attack on the poor. Cuts concentrated on Housing Benefit are already breaking up families, communities and support networks”. I can remember Council Housing during the 1970s-80s under a Conservative Government they actively encouraged tenants to purchase their homes from the council as a way forward to owing their property. Some will say great idea but there is a downside to it which is both Conservatives and Labour failed to rebuild more council housing to replace the stocks that they sold off. 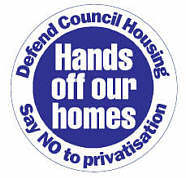 Lets move to 2013 what do we see what is happening there is a shortage of council housing all over the UK. There are council tenants who are living in tower blocks which are due to be demolished the council housing department has an added problems of re-housing the tenants. Now this beings me to the point of Defend Council Housing they pointed out at Labour Party Conference unless a Labour Government start to build more housing not only be a national crisis the private housing rent will sky-rocket and one size does not fit all. My message to this coalition is to invest more money to build affordable and rentable housing and stop using the Bedroom Tax. More than 2,000 tenants took up the government’s Right to Buy discount scheme for social housing in England during the last three months of 2012. This represents a near-doubling of the figure for the previous three months. Under the coalition’s extended Right to Buy programme, launched last year, tenants get discounts of up to £75,000. Ministers say this will help reinvigorate the market but opponents argue it will reduce rental stock for people on low incomes. Altogether, 2,009 households took up the scheme from October to December last year, up from 1,041 in July to September. The figure for April to June – the first period under the new scheme – saw 443 sales, the Department for Communities and Local Government said. 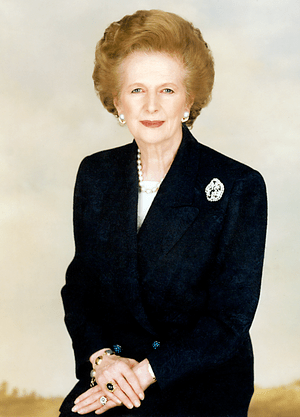 Right to Buy first started under Margaret Thatcher’s Conservative government, but take-up dwindled as the discounts offered failed to keep pace with the rate of property price inflation. In 2010 the government launched a consultation on “re-invigorating” the right to buy and the £75,000 discount, introduced last year, represents a quadrupling of the previous discount cap in London and a trebling in most parts of Britain. The scheme now offers discounts of up to 60% for the value of a house and 70% for a flat. These apply to people who have been council or social housing tenants for at least five years. Housing minister Mark Prisk said Right to Buy had “opened the door to home ownership for thousands of tenants across the country”. “I’m delighted to see so many taking up this opportunity,” he added. He urged tenants interested in buying their home to get in touch with their council or visit the Right to Buy website. However, opponents say selling properties will reduce the rental housing stock available for those on low incomes. I have yet to see that this coalition will do a u turn on bedroom tax as I’m not convinced that Ian Duncan Smith(IDS) will have a change of heart. 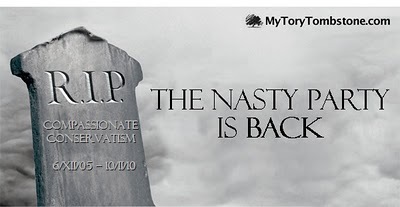 I do not trust this coalition and therefore say that they will find other ways to hit both disabled, low paid, and unemployed they want to please their rich donors of Conservatives and Libdems(Fibdems) who are in bed together. I agree with Ed Balls Shadow Chancellor comments, “This credit rating downgrade is a humiliating blow to a prime minister and chancellor who said keeping our AAA rating was the test of their economic and political credibility. 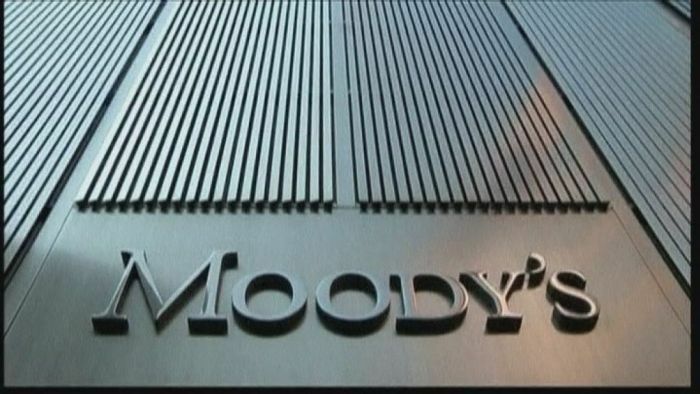 “I have always said… that you should not set your policy by the credit ratings agencies. They have got things wrong in the past. Secondly returning to the coalition workfare programme let’s not forget that both previous and present governments had a go to get long-term unemployed back to work they have provided grants to private and charities to provide a service to the long-term unemployed into work. When you are on the programme there is a very high turnover in staff in one year you could have up to three different adviser(s) on the grounds of the first, second or third adviser have either left the company or got promoted to a different section of the company. Some of the staff are not sufficiently trained and they are limited to give you the best advice in either Local Government or Civil Services jobs and in some cases not sure which is the best websites to look at to receive or give the correct information. Instead they have to depend on their colleague(s). I’m not saying that they should know all the information but they should have the basic knowledge of how to direct their service users to the services that is required. When a graduate has been told that they need to attend the work programme by the DWP in my opinion the work programmes I feel are not in a position to direct the graduates to which specialise websites to do their job search or to get the best value of service for the person to gain full-time paid employment. This going back to the days of Youth Training Scheme(YTS) which was introduced by the Conservatives Party(Nasty Party). I of the opinion if central government is to tender their services at least check out their employment history of getting youth and unemployed back into full-time employment and just for the short-term but for the long-term. 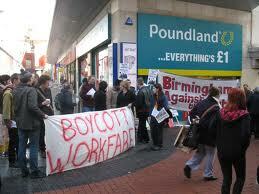 A multi-billion-pound scheme to help long-term unemployed people into work has been branded extremely poor by MPs. The government’s Work Programme only managed to get 3.6% of the people on the scheme off benefits and into secure employment in its first 14 months, the Public Accounts Committee said. The government said it was “early days” for the scheme and the committee’s report had painted a “skewed picture”. But Labour said the programme was “worse than doing nothing”. The 3.6% of claimants on the scheme who had moved off benefits into sustained employment between June 2011 and July 2012 was a mark well below the target of 11.9% that the Department for Work and Pensions (DWP) expected to achieve, the MPs said. The committee’s report pointed out that it was also below the official estimate of how many of those claimants would have found work anyway if the programme had never been launched. Labour MP Margaret Hodge, who chairs the committee, said the programme was “absolutely crucial” for helping the most vulnerable get into and stay in work but its performance so far had been “extremely poor”. “It is shocking that, of the 9,500 former incapacity benefit claimants referred to providers, only 20 people have been placed in a job that has lasted three months, while the poorest-performing provider did not manage to place a single person in the under-25 category into a job lasting six months,” she said. The programme was set up in June 2011 to help the long-term unemployed moved off benefits and into sustained employment. It is expected to cost between £3bn and £5bn over five years. Work Programme providers – largely private companies – are paid on performance. They receive a small fee initially, but most of their fee is dependent on workers staying in their jobs for three or six months. Not one of the 18 providers has met its contractual targets and their performance ”varies wildly”, the committee said. “The best-performing provider only moved 5% of people off benefit and into work, while the worst managed just 2%,” said Mrs Hodge. The committee called for the DWP to take action against the providers that are failing. MPs warned that, given the poor performance, there was a high risk that one or more providers would fail and go out of business or have their contracts cancelled. The committee shared concerns that providers were concentrating on people more likely to generate a fee, and sidelining jobless clients who required more time and investment – a process known as ”creaming and parking”. The MPs made a series of recommendations, including urging the DWP to identify why the work programme’s financial incentives were not succeeding. A spokesman for the DWP said: “This report paints a skewed picture. More than 200,000 people have moved off benefits and into a job thanks to the Work Programme. “It is making a real difference to tens of thousands of the hardest-to-help jobseekers. Long-term unemployment fell by 15,000 in the latest quarter. He warned that the MPs’ report was based on statistics that represented a “limited snapshot” of progress so far. “The Work Programme has found 207,000 people employment up until the end of September 2012. That isn’t shown in the DWP statistics published in November because to register in those statistics you need to be in employment for at least six months,” he said. Katja Hall, chief policy director at the Confederation of British Industry, said that although the Work Programme’s initial results were “disappointing”, gains would come in the longer term. But TUC general secretary Frances O’Grady said the programme had “spectacularly underachieved”, while Len McCluskey, Unite general secretary, said the programme should be abandoned. Shadow work and pensions secretary Liam Byrne said: “This report underscores the Work Programme’s comprehensive failure to bring down long-term unemployment. All eyes will be focus in Eastleigh Byelection so far there has been visits from leaders of the three main political parties to boost their support for their candidates. There is no doubt the political temperature will continue to increase. There has been more than a large presence of the Liberal Democrats (Fibdems) mobs has called in from other parts of the UK to support their candidate. The question is will they hold on to their seat and does the Conservatives do their candidate and any justice by sending in Boris Johnson to help their candidate? No doubt there will be a winner and a loser in this coming byelection there has been calls across the UK for Labour members to come down to across the country will descend to support our Labour candidate John O’Farrel. 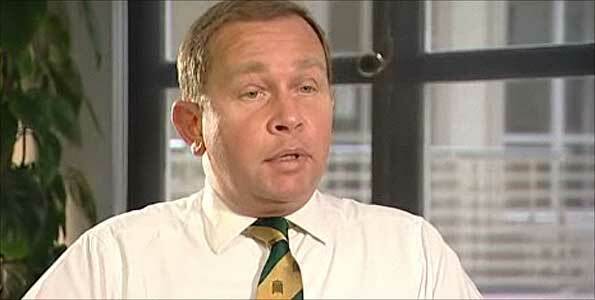 I wish John the success that is needed to win the seat. I understand from friends of mine that lives and work in Eastleigh that it’s a Fibdems control so it’s natural for them to defend the seat . On the other side of the coin I would love to see Conservatives and Fibdems do battle against each other as they are in bed together as the coalition partner in crime. It’s like having two dragons in the same room that spark fireworks against each other in the doorstep. Boris Johnson joined the Eastleigh by-election battle, declaring “it is a Conservative’s constitutional duty to kick the Liberal Democrats”. The mayor of London is the latest senior politician to visit ahead of next week’s vote. Mr Johnson met Conservative candidate Maria Hutchings and joined her going door-to-door to meet constituents. Lib Dem schools minister David Laws said the forthcoming vote is serious and is “not about Boris Johnson”. During his visit to the Hampshire constituency, Mr Johnson described his party’s coalition partners as the “Fib Dems” and called them “great big wobbling jellies of indecision”. But Mr Laws said: “It’s about choosing somebody who’s the right champion for Eastleigh in the future. Labour candidate John O’Farrell was also campaigning in Eastleigh, while UKIP announced that two former Lib Dem councillors have joined the party. Many people who lives in two – four bedrooms and are either separated and have a spare rooms for them to stay and there are those who have brought their own homes but does not have children but plan to start a family and some have a disabilities and have their carer(s) live in with them yet coalition are hellbent on charging them with bedroom tax without knowing their circumstances. Recently I had to downsize from a two bedroom flat to a one bedroom this was own the grounds that the block of flats were listed to be knocked down I’m one of the lucky ones that managed to be rehoused to a one bedroom flat. My family and myself self parted our own separate ways so I was fortunate to get rehoused very quick. My concerns are that there is a shortage of council housing and there are a lot of people who will either pay for the extra rooms (Bedroom Tax) or downsize as this coalition will stop at nothing to prove their point that unemployed, disabled will have to pay their fair share of rent and council tax. The coalition wants to continue acting tough on unemployed and does not care if you are actively seeking employment all they want to hear from their ears caching or in other wards “Money, money no money no talk” or in the name capitalism. Let’s now put this into prospective the economy is flatlining unemployment continues to rise under the coalition watch and frankly the coalition are feeble on their excuses and the public patience are running out. Recently I watched the agenda on ITV the whole panel were against the mansion tax, all were highly paid, George Osborne and Fiona Phillips ect and I’m sure all live in homes that cost a packet, they think it is unfair to tax people on their homes yet never mentioned the tax on spare rooms, the 10p tax was also criticised maybe because It would make no difference to them yet they all called for a cut in VAT which would affect them as far as I know the council tax for a house worth 300k is the same amount paid by homeowners of 1 million plus, If that is true then the council tax bands should be changed. Secondly I’m inclining to believe what Jack Dromey Shadow Housing Minister says Homelessness rockets in London whilst one mansion alone goes up for sale in SW1 at £100 million. Yet the Government ploughs ahead with policies that have collapsed affordable house building and threaten to make thousands more homeless, whilst resisting a Mansion Tax. Please start spreading the word about the campaign amongst your Labour members and colleagues, if you can get me a list of the CLP and Group Secretaries in your area please email them to louise.baldock65@btinternet.com so that we can contact them with the campaign materials as soon as they are ready. Please start collecting true stories about people who are affected by the bedroom tax – even if you see them in newspapers, but fresh ones ideally of someone you have met or has written to you, and send me the details, names, where they live (by town or city will be fine) and ideally a digital photo of the person or family with their permission to use their story as part of a Labour campaign. Volunteers to help signpost people to their local councillors, MP and Welfare Benefits Advisors or take up their case with the appropriate organisations where there is clearly an anomaly, or help with discretionary fund applications ideally someone with time on their hands and experience of casework. Volunteers to look for the contact details of all candidates selected in key marginal parliamentary constituencies so that we can tell them about the campaign and get them up and running – these are the areas in the country where we can have the most impact by scaring incumbent MPs into persuading the PM to think again. The government’s proposed change to housing benefit rules, dubbed the “bedroom tax”, is “perverse”, shadow minister Stephen Timms has said. 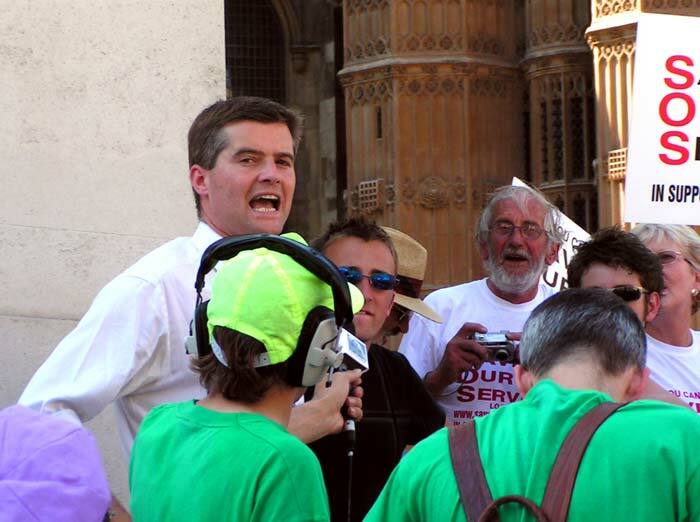 On BBC Radio 4, Mr Timms warned that “lots of people will face hardship when they should be getting support”. The changes are designed to encourage people with spare rooms to downsize, but the Labour MP said there was a shortage of smaller accommodation. Conservative chairman Grant Shapps said this argument was “absolute nonsense”. Ministers predict that the changes will help cut the £23bn annual bill for housing benefit, free up more living space for overcrowded families, and encourage people to get jobs. The new rules will affect less well-off tenants who are paid housing benefit to help with rent on council housing or housing association properties – but not those renting in the private sector. 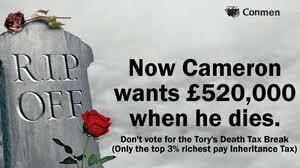 Typically claimants receive between £50 and £100 a week. 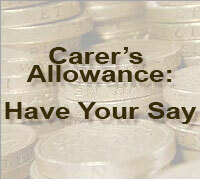 From April 2013 families deemed to have too much living space by their local authorities will receive a reduced payment. The clash occurred on BBC Radio 4’s the World this Weekend programme, where Mr Timms argued that the change had “not been thought out properly”. 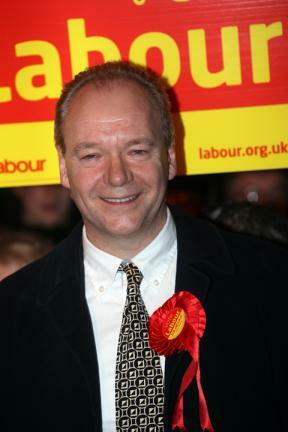 “Take the example of Hull, which as Grant Shapps knows is not untypical,” the shadow welfare minister said. “4,700 tenants are going to be affected by this penalty, but they’ve only got 73 one- or two-bed properties available. It is impossible for people to move within the social sector to smaller accommodation. But Mr Shapps said: “Labour have very cleverly deemed this to be a tax; of course it’s exactly the opposite to a tax. Housing charities are warning that the result of the changes will be higher levels of rent arrears, and greater homelessness. Whilst I concur the very policy of the 10p tax helped low paid workers one of Labour tax achievements then only see it scraped by them sent wave of criticism by Labour MPs, trade unions, and low paid workers. Young Milband was right to say that Labour should not have done it. 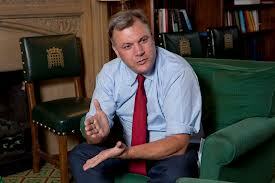 Let us remember that it happened on his watch with Ed Balls. Now that I have got it off my chest let us all embrace Labour one nation by Ed Miliband as one and stand behind our leader. Ed Miliband’s call for the 10p rate of income tax to be brought back is noteworthy and welcome on two counts. It disproves David Cameron’s jibe that there would be nothing new in Miliband’s speech and draws a line beneath Gordon Brown’s disastrous abolition of the 10p band in 2007. 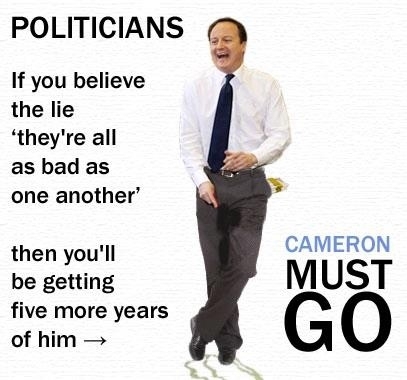 Cameron has been allowed too many opportunities to mock Labour criticisms of his bankers’ agenda by pointing out that his chosen path was previously trodden by new Labour. The gap between rich and poor in Britain today mirrors that of the Victorian era, which demands positive action to reverse this unjust trend. Miliband’s proposal of a mansion tax on houses valued at over £2 million to pay for the lower starting rate of tax, which should benefit 25 million basic rate taxpayers, is an obvious steal from the Liberal Democrats, but so what? It formed part of Nick Clegg’s bogus pre-election prospectus painting his party as the radical alternative to Labour, but it was never intended as anything more than a vote-catcher. 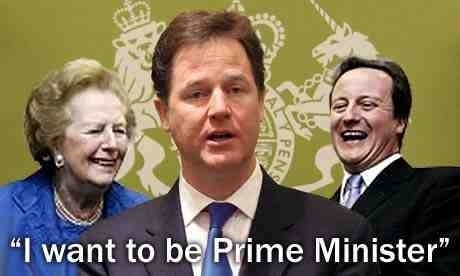 Cameron was desperate for Liberal Democrat support to form a coalition to oust Labour. He could have been forced to concede a mansion tax to get Clegg and company on board. Such is the extent of personal wealth owned by Britain’s minted elite, which continues to appreciate at a prodigious rate, that a mansion tax should not be the only wealth tax considered by the Labour leadership. To hear the Tory Party squealing that a £2 million house isn’t really a lot and that an average dwelling could have reached that level as the result of one or two home improvements simply underlines the reality of two nations living cheek by jowl in this country. Miliband’s US-influenced terminology of “the squeezed middle” and his adoption of the old Tory slogan of “one-nationism” may grate on the ears, but if the examples he cites to justify his policies remain based on the rough justice dished out to working people, the grating may just be bearable. Words are, of course, cheap, but statements laying down political priorities and displaying an economic understanding are important. Workers are central to economic development and they are entitled to just rewards for their labour, not just wages but decent pensions, benefits and public services. Miliband acknowledges this, but he and Labour policy review co-coordinator Jon Cruddas refuse to consider any alternative to the one-size-fits-all obsession with continued private ownership of the economy. Miliband, for his part, would somehow “break the stranglehold of the big six energy suppliers” and “stop the train company price rip-offs,” but only public ownership can achieve this. Regulation has proven a paper tiger. Labour is regaining some of its lost electoral ground but winning the next election outright will require a tidal wave of popular enthusiasm behind policies gripping the public imagination. We have a Byelections and county elections wishing all our Labour candidates success in wining their seats as the road is long but achievable. A Labour government would seek to re-introduce the 10p starting rate of tax scrapped by Gordon Brown in 2008, Ed Miliband has announced in a speech. Mr Miliband said it was a “very bad mistake” to get rid of it and the move would send a “clear signal” his party was on the “side of working people”. The move, worth about £2 a week for people, would be funded by a “mansion tax” on £2m properties, he said. But No 10 said it was a “stunning admission of economic incompetence”. The decision to scrap the 10p tax band – announced in the 2007 Budget as part of a package which also saw the basic rate of tax reduced from 22p to 20p – was highly controversial. Despite measures to compensate those affected, critics said up to 500,000 people were left worse off. Mr Miliband said the move was “wrong” as the 10p tax rate made a difference to people on low incomes and increased incentives to work. He said he was “determined to put it right” by reinstating the 10p rate after the next election and urged the government to consider doing it at next month’s Budget, describing it as the “progressive choice”. “We would put right a mistake made by Gordon Brown and the last Labour government,” he said. Labour has previously indicated it would only set out tax and spending commitments in the run-up to the next election – scheduled in 2015 – and Mr Miliband made it clear that he would not commit to put any specific policies in its manifesto at this stage. But Mr Miliband said the 10p pledge would send a clear message about Labour’s commitment “to a fairer tax system and improving the living standards of working people” as well as showing the party is “moving on from the past”. 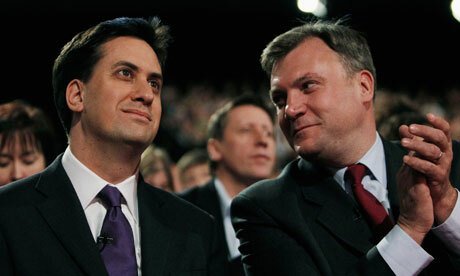 Shadow chancellor Ed Balls said both he and Ed Miliband had raised objections to the 10p move when they were members of the cabinet at the time. Asked on the Daily Politics whether it was a firm manifesto commitment, Mr Balls said they could not write their manifesto now, but the changes were something “we want to do… intend to do… plan to do” if the party gets into power after the next election. The idea of a mansion tax was first proposed by the Lib Dems before the last election although the Conservatives oppose the move and the policy was not adopted by the coalition government. Mr Balls said there were about 70,000 homes currently worth more than £2m – half of which were second homes – and a tax could raise an estimated £2bn. He said the detail “had to be got right” but he would be willing to talk to the Lib Dems who he suggested were “still keen” on the idea. In the speech, Mr Miliband also repeated his support for a temporary cut in VAT to boost economic growth – and called for action on train fares, “unfair” bank charges and capping interest on payday loans. Criticising the government’s economic policy as a “race to the bottom in wages and skills”, he accused the Conservatives and Lib Dems of rewarding those at the top while “squeezing” everyone else. Speaking in Bedford, where in 1957 Conservative Prime Minister Harold Macmillan famously said Britons had “never had it so good”, the Labour leader said that falling wages and rising prices mean many now feel “they will never have it so good again”. “People in Britain are putting in the hours – doing the shifts – as never before. But something has changed in the last few years. “There’s less chance of promotion, less chance of a pay rise, and at the same time, prices just go up and up and up: petrol for the car, tickets for the train, childcare for the kids, deposits for a first home. He criticised the government’s decision to scrap the 50p tax rate for those earning over £150,000 from April 2013, saying “we can’t succeed as a country just by hoping wealth will trickle down from those at the top to everyone else”. A Downing Street spokesman said Labour’s change of tack on the 10p rate was “a stunning admission of economic incompetence” and the coalition had helped low earners by substantially increasing the personal allowance – the level at which people start to pay tax – to £9,205 in April. “The losers from Labour’s 10p tax fiasco have become winners under this government,” he said. He also warned that a mansion tax “would mean government snoopers in every home to revalue your house for council tax, meaning council tax rises for anyone who’s improved their home in the past 20 years”. Lib Dem Treasury Secretary Danny Alexander said Labour were “late to the party” on the need to reduce the tax burden on the lowest paid. Why is it that every successful governments in the UK continues to ride on a high by using two words “Soft Touch” this is because it stirs up everybody and such it plays to the hands of both racists and fascists to which I make no apologies for saying this. Until governments all over the world address the crisis it will be on going with no solutions at the end of the tunnel. In regards to benefits For Foreigners not all them who comes to the UK claim benefits, some create employment while others who claim benefits are from either refugee status or facing persecution from dictators or military from their country of origin. Then there economic migration which if I’m reading right then any governments that come to power will have an escalation of problems as they will look back to the root causes of it as endemic worldwide which dates back to the time of explorers, governments, kings and queens claiming lands in the name of country. Like it or lump it those are the facts. Granted some will argue it’s a chip on their shoulders Great Britain is just as guilty for raiding and looting other people lands then leave the natives to fend for themselves under British rules whilst they were there drained their natural resources. There maybe a the few who continue to moan about not able to get a council housing because all those foreigners are getting various benefits and they are the ones that are not getting it. I don’t have a problem with foreigners who want to access our benefit system provided that they meet the criteria and don’t abuse. Then there is the workfare issue that needs to address as coalition lost their case in court by saying it is ridiculous to call being made to work unpaid or force labour and has the cheek to oppose the suggestion that people who lost their benefits should have it reinstated. As I said in previous communications that we should not continue to pander to the Far Right Agendas of the British National Party(BNP) and English Defence League (EDL) let us all continue to celebrate our diversity and multiculturalism that we all enjoy in our society today. The government is reviewing access to housing, healthcare and the benefits system for foreign nationals to ensure that the UK is not a “soft touch”, Prime Minister David Cameron has said. The rights of British citizens should not be enjoyed by “anyone who just chooses to come here”, he told MPs. Tory Mark Spencer had raised the issue. “The welfare state and the NHS are there to support our constituents when they fall on difficult times,” Mr Spencer said. Mr Cameron said this was “a very important point” and said he had chaired a committee meeting on Tuesday to look into the subject. 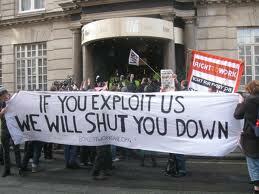 “Britain has always been an open and welcome economy, but it isn’t right if our systems are being abused,” he told MPs. The review of “every single one of our systems: housing, health, benefits”, was being led by immigration minister Mark Harper, he said, and would “make sure that we are not a soft touch for those who want to come here”. “It is absolutely vital that we get this right,” he told MPs. The prime minister’s spokesman later warned that the committee’s work was “likely to take some time” and any proposals would have to “operate within the constraints of the law”. But the government was keen to “ensure there were not undue pressures on the smooth running of the labour market in the UK”, he said. Mr Cameron’s decision to chair the meeting yesterday, in place of his immigration minister, “pointed to the importance he attaches to this area of work”, the spokesman added. The prime minister has previously said the government would be reviewing current policy when asked about the lifting on restrictions from January 2014 on Bulgarians and Romanians working the UK. 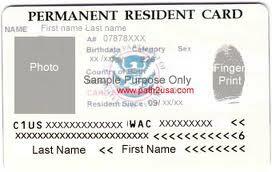 My thoughts on coalition wants Green Cards introduced in UK. Why am I not surprised by this coalition they will have us believing the solution to our immigration problems is issuing Green Cards to all foreigners who enter UK or wants to remain in the UK which some many think it’s a very good idea. Well I hate to disappoint all of you on this subject as it forces more illegal immigrants to go underground. Let us not forget the identity Card Act 2006 introduced by Labour and as soon as the coalition formed government 2010 they scraped the scheme. Instead of looking at the root cause of why immigrants want to enter the UK for their final destination why both previous and present governments have continued or refuse to address this issue yet they give a good talk but can’t do the walk the walk. This is not just confined to UK but a problem for world leaders to come together to solve the solution. Lets face some hard facts during the turn of the century both explorers and governments have invaded other countries to supply their homelands with gold, sugar, coffee, gun powder, tea, tobacco, slave trade, oil, and claiming lands in the name of King and Queen. Then have they have the cheek to bleed the country dry and leave the people to fend for themselves after being defeated by the native people to rid themselves of foreign rule. Yes I believe that immigration news a radical overhaul with positive solutions. Both Conservatives and Labour have travel the world to recruit skilled and none skilled workers to come to the Great Britain to help rebuild the economy after the Second World War. Before people start to play the race card let it be known that I’m a proud son of an immigrant of Chinese descent whose father helped to build this nation of ours so let us celebrate the vast diversity and multicultural society that we all enjoy in the UK. Look around in all the major cities we have international restaurants from all over the world, engineers, academics who have contributed to our UK economy. I still think that Ed Miliband was right to talk about Labour One Nation in immigration which highlights concerns that needs to be addressed. Let’s not give way to Far Right agenda which allow certain Far Right group enjoys feeding their propaganda to low esteem people with such political groups like the British national Party(BNP). The UK must not be a “soft touch” for migrants, including those looking to come from Bulgaria and Romania in the future, minister Mark Harper has said. The UK must “offer what we need to” under treaty obligations, in terms of benefits, but “no more”, he told MPs. Forecasts about the number of potential arrivals from Romania and Bulgaria when temporary controls expire at the end of the year were “not helpful”, he added. But Tory MP Philip Hollobone said such a situation was “madness”. Transitional controls in place since 2007 limit the number of Bulgarians and Romanians who can seek work in the UK and in other EU nations, but they will come to an end at the start of 2014. Conservative ministers, who are committed to substantially reducing levels of net migration, are under pressure from backbenchers to say how the UK will deal with a potential influx of new arrivals. At Home Office questions in the House of Commons, a succession of MPs raised concerns about the potential impact on the economy and society. Conservative MP John Baron said the UK’s minimum wage was six times higher than in Romania and Bulgaria and there was a chance of a “surge” in new arrivals. In response, Home Office minister Mr Harper said the government was looking at the “pull” factors which encouraged migrants to come to the country. “We want to make sure that when people look at the access to our benefits and our public services that no one thinks we are a soft touch in this country,” he said, adding that ministers were “taking action to make sure that won’t be the case”. He dismissed suggestions that ministers had considered placing adverts seeking to deter migrants from coming to the UK, saying people should not “believe everything they read in the newspapers”. Given that transitional controls were ending in eight other countries as well as the UK , he said the number of people who might opt to come to the UK could not be forecast with “any degree of accuracy” and the government’s advisory body on immigration had recommended against it. Groups campaigning for tighter controls on immigration have warned that about 50,000 people from Romania and Bulgaria could come to the UK every year. People from Romania and Bulgaria have been free to live in the UK since 2007, but have either had to apply for one of the limited work permits available, been self-employed or worked in a specific list of jobs such as seasonal agricultural ones and domestic servants.